Packing up your life into boxes is always stressful. You’re not sure where you’re going to store the boxes, or what to do with them, and life gets confusing. At AA1-Self Storage, we have the solution our residents in Ogdensburg, NJ; Newton, NJ; Hamburg, NJ; Sussex County, NJ; Hardyston, NJ, Sparta, NJ and more. With Sussex County, NJ self-storage, you’re able to get the satisfaction of having your life safely tucked away until you’re ready for it. 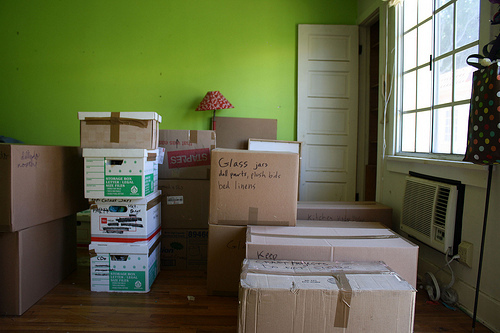 Renting a space for your valuables is easier than packing them into a box. You can have your items available to you when you’re ready to move, send a child off to college, or sending an elderly relative to a retirement facility. We’ve all had to go through the pains of moving, whether it be moving out of a house to moving into a house, we’ve all done it. One of the biggest struggles, though, is trying to make the new one feel like home. The only way this can be achieved is to have as much of your life as possible put into your new place of living. Our New Jersey storage facility can help you accomplish this; you are literally doing nothing but taking your possessions and storing them for safe keeping until you’re ready for them to come out and make an appearance in your new home. We specialize in NJ College Storage. As a parent, watching our children grow is so beautiful yet so terrifying because the older they get, the sooner they are to leave the nest. What better way to prepare our children for college while maintaining that sense of family than storing some of their favorite childhood memorabilia? You can store up to hundreds of boxes packed with memories for your “child” to take with them on this new journey of life. As our children move on with one phase of their lives, our older family members must as well. Although it is difficult to part from family, we’ve found that Ogdensburg, NJ self storage actually helps the process. Knowing that your loved ones have a box of memories tucked safely away into a self storage facility, ready to be opened at any time, brings peace and comfort to their minds. With this sense of assurance, they can prepare for nursing homes and retirement facilities, knowing they have boxes of memories to brag about to their new neighbors. As our families start to grow, so does the amount of clutter we form around the house. This isn’t just useless clutter, but our memories and valuables. We switch from house to house and often forget stuff behind, but with a safe rented place for our valuables, nothing is forgotten and you have your entire life ready for you. Children move away and even they will be able to access the capsule that is filled with family history. Help your family sail smoothly through life’s many transition phases by renting a self storage unit. We are conveniently located in Ogdensburg between Franklin & Sparta, Sussex County, NJ on Brooks Flat Road, Just off 517.